On Tuesday, 5/22, Greater DEED Board Members presented the current ELID proposal to the Jefferson County Board of Commissioners. While it was not a formal Public Hearing and there was not any official BOCC vote for the ELID itself, 2 of the three commissioners (Libby Szabo and Tina Francone) expressed the need for additional time and information to support the effort to the next step of a Public Hearing to create the ELID and subsequent step of allowing the corresponding sales tax to be on the ballot. Commissioner Casey Tighe agreed to our request to direct staff to finalize staff estimates, prepare ballot language, mail a notification of the public hearing to all addresses within the boundary, and publish the information in the newspaper. But without the agreement of at least one of the other commissioners, the process to forming the ELID will delayed until they are satisfied with how ELID would fit with their objectives for other tax issues such as Debrucing property taxes to raise more tax revenue for other county needs. This may ultimately affect which election cycle the ELID ballot will be presented to the electors and delay the creation of the ELID. The dialogue with the commissioners daylighted some things that DEED will be able focus on while the commissioners deliberate over their larger TABOR questions. 1) With the current draft of projects now in hand (as of only a few weeks ago), DEED is able to share the project specifics with the community, which we plan to do. Up until now, the support for ELID (ourselves included) has largely been in good faith and trust in the process with only a general understanding of the types of projects we can do until they were vetted by County staff. As a result, those who have expressed opposition have had every right to scrutinize the ELID proposal on the basis of not knowing exactly what this sales tax would fund. We will now push that information in all of our outreach channels. 2) We had originally understood that the public hearing in which ELID was to be on the agenda would be the official forum for discussion and community input for the ELID. However, it turns out that anyone can speak on any issue at any public hearing, even when a particular issue is not on the agenda. While this seems unusual for a public process, because speaking out in opposition prior to hearing a proposal presentation would typically be considered irrelevant testimony in virtually any other hearing setting, there was a small group of those opposed who spoke at the public hearing on Tuesday prior to the separate ELID briefing. Unfortunately, the voices of only 6 people may have influenced the Commissioners negatively, so we intend to take the same approach and organize a group of supporters to similarly speak at these hearings so there is a fair and balanced representation of both sides to the commissioners. 3) We have had in depth discussions previously with Commissioners Casey Tighe and Libby Szabo on the ELID proposal. The recent resignation of Commissioner Donald Rosier, who was instrumental in originally initiating the ELID effort, left us with little time to connect with Commissioner Tina Francone. We made requests, but none were agreed to, understandably due to her immediate demands for stepping into this new position. Apparently, there was little to no handoff on the ELID history and objectives from Rosier on this issue when Commissioner Francone took over. So we will take this time to meet with her, as well as the other commissioners again, to further educate them on the needs of the community, the strong support for the ELID, the data behind the projects and costs, and specifically how a LID is the only appropriate solution for these kinds of public safety improvements in our Activity Centers that are otherwise beholden to a rural design standard. At the end of the day, we’re not asking the Commissioners to create this sales tax for the ELID, but rather that they support the democratic process of allowing a community to decide to tax themselves in order to improve the public safety and quality of life where they live when there is no obligation to make those improvements otherwise by the county or the state. In other words, we’re really asking them to simply let the voters decide, which is every community’s statutory right under Colorado Revised Statutes. So, our efforts will continue largely as we had originally planned with respect to sharing the specific project information with all stakeholders and continuing to build support both within the ELID boundaries as well as the greater Evergreen community. The ultimate timing of when the commissioners will allow us to hold the public hearing for the ELID and subsequent tax ballot initiative is up to them, but we will continue to do everything that we can on our end to push for this very important cause. There’s no doubt that since our first community meeting over a year ago, our schedule working with the county since December on the project specifics was very aggressive and we don’t fault those who have expressed that they don’t know enough about the specifics to confidently show support. It’s hard enough to keep up with the flow of information ourselves much less effectively be able to telegraph that to the community in real time. This delay will serve to allow us additional time to share the project specifics and overall vision with all stakeholders to garner even stronger support and a successful vote when the time comes. See the flyer for locations! This includes things like Safety improvements on our highways, Curb/Gutter and sidewalks in Activity Centers, On-Street parking improvements in Activity Centers, Improved pedestrian crossings on arterial roadways and Activity Centers, Drainage and erosion control within Activity Centers. This includes completing trail connections throughout the District so there is a unified and safe bike and pedestrian system throughout the District. Jefferson County’s Evergreen Trails Master Plan outlines a starting point to these types of projects. This includes all of the things one would expect to have available in any of the Activity Centers to provide convenience and safety to the public. 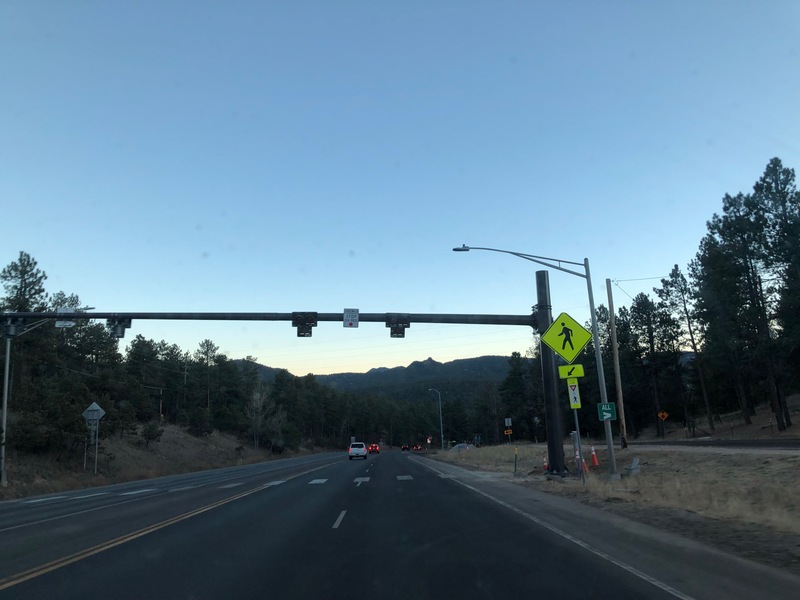 Things such as public restrooms, wayfinding signage, waste and recycling receptacles, thoughtful and efficient lighting that improves safety while also preserving the dark night sky. Preservation of our Bear Creek watershed within the District as well as wildlife management measures for safer highways throughout District. Also, burying powerlines in Activity Centers and critical view corridors to return Evergreen back to it’s natural setting. Incorporating landscaping and public art along arterial roads and in Activity Centers to soften the impact of the existing corridors. Where new improvements are made, include Landscaping and public artwork to complement the natural setting of Evergreen. Example: Instead of a plain concrete wall at a bridge or underpass, considering a mural or landscaping to soften its visual impact. Any infrastructure improvements otherwise required by any agencies having jurisdiction as well as any maintenance operations otherwise required by those agencies. The ability for an ELID Advisory Committee to update the purposes and specific projects in accordance with community priorities through public process and input over time. The Advisory Committee would be appointed by the BOCC through a process where applicants would be interviewed and selected based on the following criteria: 1) Qualifications of applicant to serve, 2) Distributed representation across the entire District and 3) Distributed representation among residential property owners, commercial property owners and business owners within the district. The Advisory Committee shall have no fewer than five members and no more than seven members at any time and the positions shall not be term limited but should be re-assessed and re-appointed every two years. The Advisory Committee shall have a minimum of one public town hall style meeting each year, along with other methods to gather community input on community priorities, and meet with the BOCC no less than twice per year to share gathered information, advise on priorities for the community and consult with the BOCC or appointed staff on past, present and future projects. Activity Center = Defined area of more intense activity within an otherwise suburban or rural context by Jefferson County Planning and Zoning. Areas of commerce, including commercial properties, businesses, restaurants, retail, grocery and other services. Activity Centers are defined in the Evergreen Area Community Plan chapter of the Comprehensive Master Plan. Last thing to note: The constitution is a living document that we expect to be drafted and redrafted several times prior to final approval. We are integrating the great input and constructive criticism we’ve recently received from the community to further improve the document, and at the same time, county review is likely to change the language that we propose in each draft. We will continue to update the progress of the development of the final version on our website to keep the community in the conversation.